Swamp Pop is a minority interest and it’s one that’s difficult to defend on intellectual grounds; the song lyrics rarely rise above the mundane and melodically it’s even more limited than blues with well over half the songs using the same two chords sequence. That’s as may be but it attracted interest and arguably love from two well respected rock critics and writers in John Broven and Bill Millar (as I noted in Swamp Pop #1 on Rod Bernard). In that post I didn’t mention an even better known name, that of the late Charlie Gillett. He’s the gent who gave the world the first intelligent book on rock’n’roll, “Sound Of The City”, who played a major role in popularising world music, and who created his own record label and used it to release an album based on the music of South West Louisiana. That album – Another Saturday Night – in its extended CD format contained not one, not two, but three numbers from Cookie and the Cupcakes. Charlie must have been impressed. Huey “Cookie” Thierry himself was born in 1936. The band, led by Shelton Dunaway, was already in existence when he joined them in 1953 and, at the time, went by the name of the Boogie Ramblers. They obtained a residency as the house band at the Moulin Rouge Club in Lake Charles, Louisiana in 1953. In 1955, they signed a contract with Eddie Shuler’s Goldband Records and released several singles. Sometime in 1956 Cookie took over as front man and the name change came into being that same year. In 1957 they started playing Mathilda in their live sessions and recorded it the same year in the studio of local radio station KAOK. It was first released on another local label, Khoury’s Records run by George Khoury, but it was then leased for national distribution to Jud Phillips (brother of Sam) on his Judd label. The record hit no. 47 in the Billboard chart in 1959 and that was more or less it in terms of national fame. They did get to tour behind headliners like Fats Domino and Jerry Lee Lewis before reverting back to their previous Southern Louisiana stamping ground. There were plenty of good follow-up records released including a splendid Got You On My Mind but nothing made any serious impact on the national chart. In 1965, Cookie Thierry moved to Los Angeles. The band continued without him with “Little Alfred” Babino taking over as lead singer. Mathilda is justifiably the best known number from the band. In his book “South To Louisiana”, John Broven wrote : “If swamp-pop has a signature tune, an anthem, it has to be the quintessential Mathilda … Even today everyone accepts that if a local band plays Mathilda and nobody dances, the musicians may just as well pack up and go home.” Something that characterised Mathilda was the piano playing something different to the horns riffing away in the overall sonic murk. This was to be a regular feature of Cupcakes records. Back to the swamp stuff, Breaking Up Is Hard To Do, a cover of the record from Jivin’ Gene and the Jokers (which got a walk on part in Swamp Pop #1), manages to do the near impossible, making this painful process something almost celebratory. Lovely horns and great piano break. Not difficult to imagine the dance floor slowly heaving to this one. The horn riffing is a particular feature of Since Your Love Has Gone Cold. They couple an ascending phrase with a descending one in a manner not heard on any other swamp record – often the riffing is entirely predictable and it’s rare that invention like this comes into it. As I’ve already implied there was a lot more than swamp material in the Cupcakes repertoire. Mary Lou Doin’ The Pop Eye is a clumsy title but it hides a chunk of Huey “Piano” Smith nonsense with New Orleans style piano very much to the fore and the horns just behind the beat. Very much a grinder and one that the adjective “greasy” was invented for. This one is also notable for having Shelton Dunaway on lead rather than Mr Thierry. 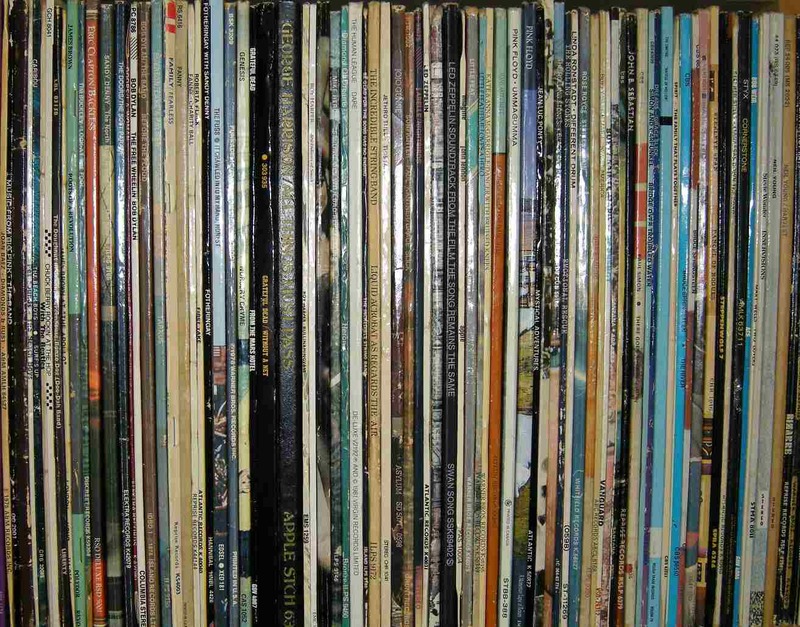 And the record is also notable for having a middle eight, a relative rarity in this form of music – maybe it was there to break up the repetition – they didn’t dream up too many lyrics. There are goodies just oozing out of Kings Of Swamp Pop – proto-soul, blues with doo wop backing, a Platters cover from Carol Fran which unfortunately lost out due to space reasons – but I’ve saved one of my big faves till last. Got You On My Mind is a twelve bar blues of the sort that often has “easy rolling” in the front. Prominent piano yet again and a kind of satisfying feeling – one of those records when the smile gradually appears on one’s face. To interject a personal note: I continue to be amazed that Cookie and the Cupcakes aren’t better known. Outside of John Broven, and Shane Bernard’s “Swamp Pop: Cajun And Creole Rhythm And Blues”, nothing of significance would seem to have been written about them. In his “1001 Greatest Singles”, Dave Marsh doesn’t mention Mathilda and internet searches largely yield edible cupcakes of the sort favoured by Bake Off watchers. Black creole singer Phillips was born Philip Baptiste in March 1926 in Lake Charles, LA, and was no more than an amateur with a day job as a hotel bellhop when he recorded the self-penned Sea Of Love. The arrangement and production were by Eddie Shuler for George Khoury’s label and the backing vocalists were named the Twilights after the session (which is also when Phillips came by his name). After initial local success the record was leased to Mercury Records. It reached #1 in the national R&B chart and #2 in the pop chart. Mercury took over Phillips’ contract but the follow up singles failed to make any impact on the charts. This was as literal a case of a one hit wonder as you’re likely to find. I’m using the rest of my selections in this Toppermost to highlight some more of the black performers in the genre. A gent who you might not have associated with this form of music is blues man Lonnie Brooks. He was born Lee Baker Jr. in Dubuisson, LA in 1933 but moved to Port Arthur, just across the border in Texas in the fifties. In the early days Lonnie used the name Guitar Jr. though he switched to Lonnie Brooks following his move to Chicago in 1960 after discovering there was already a Guitar Jr. in existence. His self-penned Family Rules, a typical swamp ballad was a local hit in 1957. But I can’t leave the Lee/Lonnie/Guitar Jr. story there. In ’58 he had another regional hit with a dance craze number called The Crawl. This must be the first time I’ve had two dance craze selections in a Toppermost. 1. I included a “definition” of Swamp Pop in the Footnotes of Swamp Pop #1, also known as Rod Bernard. The quotation marks are merely to indicate that this was my definition, rather than anyone else’s – they do differ. 2. There’s a little about Goldband Records in the Footnotes to Swamp Pop #1. 3. I’ve made use in the text of John Broven’s “South To Louisiana: The Music Of The Cajun Bayous”, an excellent tome which covers all forms of Louisiana roots music not just swamp pop. 4. The song Got You On My Mind wasn’t an original. That honour goes to a gent called “Big” John Greer who sang and played tenor sax. His record dates back to 1951 and it bears some similarity to the Ivory Joe Hunter style of blues. 5. The title, Mary Lou Doin’ The Pop Eye always reminds me of an even more absurd one, Three Girls Named Molly Doin’ The Hully Gully, a little charmer from the Johnny Otis Show in ’59. 1962 saw a switch to George Khoury’s Lyric Records and that excellent version of the Platters’ The Great Pretender that I referred to earlier. She followed this with another stunning version of a song that’s been covered too many times. Crying In The Chapel. Carol actually managed to make it sound new. Other discs from Carol in the mid/late sixties found favour in later years with the Northern Soul audience in the UK. Unfortunately, such limited market acclaim didn’t translate into mass market plaudits and Carol’s talent has remained hidden to all but a small minority over the years. After virtual retirement from recording she signed with Black Top Records in 1992 and has subsequently released several albums. 7. 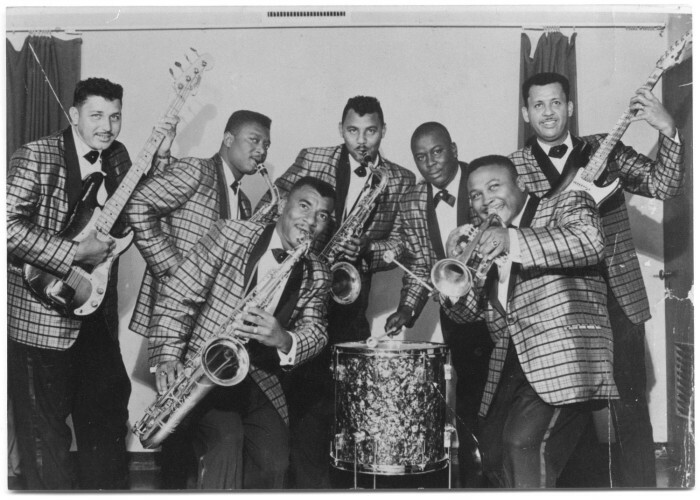 Very early on in his career, Lonnie Brooks worked in Clifton Chenier’s band. Other notable Texan or Louisianian blues guitarists to work in the band were Lonesome Sundown and Phillip Walker. 8. Texan white R&B band The Fabulous Thunderbirds recorded both Mathilda and The Crawl early on in their career. 9. Little Alfred Babino sometimes appears in print as Little Alfred Babineaux. While the second might sound more likely in the French oriented culture of Louisiana there are otherwise reliable authorities who quote the first. 10. Some of the early Cookie records, including Mathilda in 1958, are credited to Cookie and His Cupcakes. 11. It became apparent when putting together another series of essays on music from Southern Louisiana and South Eastern Texas, along with Cal Taylor (the Swamp Blues series), that the presence of black swamp pop was even more pervasive in these areas than indicated in this and other essays in the Swamp Pop Series. It has tended to get lumped together with blues so only gets spotted after extensive listening. Below are some examples that came up, but they weren’t alone. * Big Walter (Price), who came from Gonzales, Texas but spent much of his career in Houston, recorded Shirley Jean for Peacock Records in 1955, and it was released (according to 45cat) in May 1956, making it one of the earliest swamp pop tracks in existence. In 1957, Walter also recorded a single for Goldband Records of Lake Charles. The flip was entitled Crazy Dream and it was pitched somewhere in that blurry area between blues ballads and swamp pop. * All of the first six singles from Guitar Jr./Lonnie Brooks featured a swamp pop number on one of the two sides. Family Rules wasn’t an isolated example of this gentleman dabbling in the genre, he was well and truly marinated in it! * Boogie Jake (actually Matthew Jacobs from Marksville, Louisiana) recorded Chance For Your Love for the New Orleans Minit label in 1960. It’s another one that uses that Jimmy Reed, Honest I Do chord sequence but is a fine record in its own right. There were other examples, and I’m grateful to Cal Taylor for unearthing some of these, but I think the above should help to reinforce the point that swamp pop was a white and black form of music. 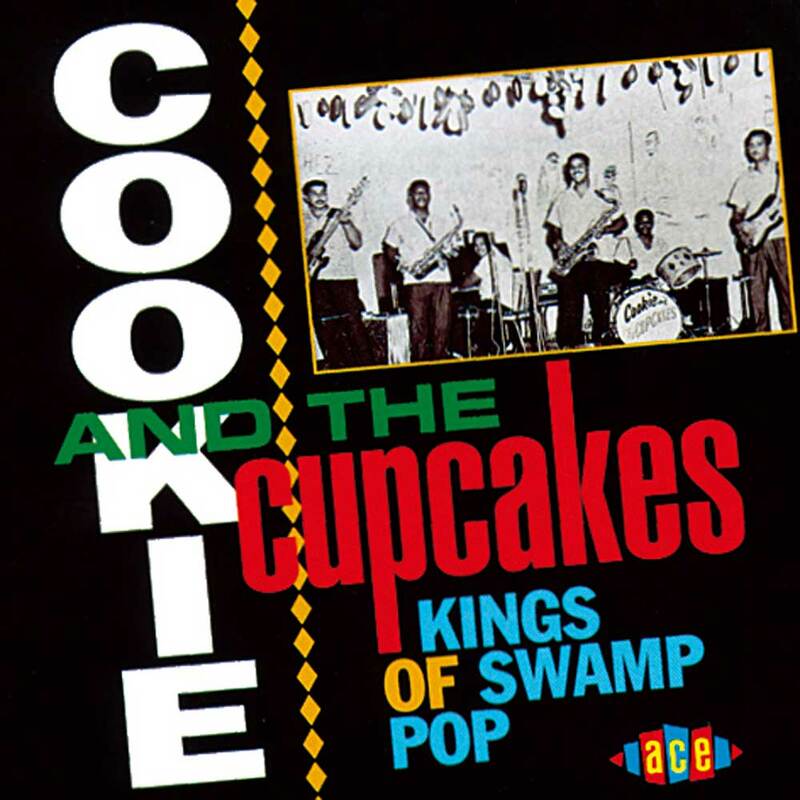 From Dave’s toppermost, Mathilda, Married Life, Got You On My Mind, Breakin’ Up Is Hard To Do, Mary Lou Doin’ The Pop-Eye, Since Your Love Has Gone Cold are on the Cookie and the Cupcakes collection from Ace Records, Kings Of Swamp Pop. Sea Of Love, Family Rules, The Crawl, Secret Of Love are on On Bended Knee: The Birth Of Swamp Pop CD. Thanks Andrew. I think it’s just you and me on the marvels of #SwampPop. No one else seems to have put a toe into the bayou.